Whether you are providing your cotton candy as a yummy fair food snack or in your local convenience store, this jolly berry (strawberry) flossine is simply a must have flavor option! Gold Medal's jolly berry (strawberry) flossine not only makes your cotton candy look and tasty fluffy and delicious, it even enhances the sweet aroma attracting patrons with a sweet tooth! 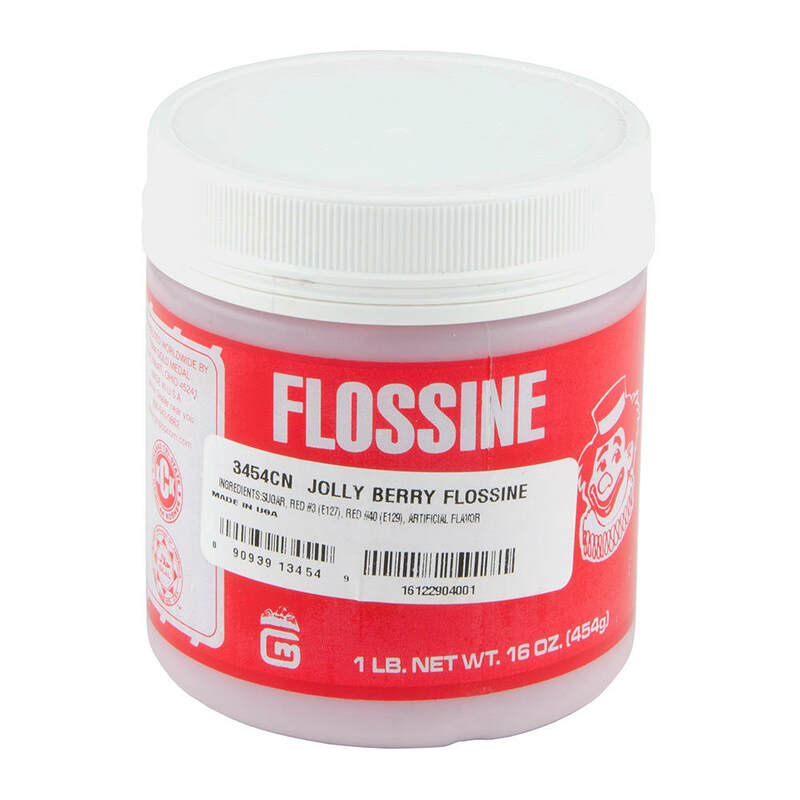 This jolly berry (strawberry) flossine comes in a one pound plastic container and comes at an outstanding value. Get the most out of your fun, delicious cotton candy with this jolly berry (strawberry) flossine which is an exceptionally popular flavor among cotton candy lovers. 12 ea, one lb plastic containers of jolly berry (strawberry) flossine come in each case.